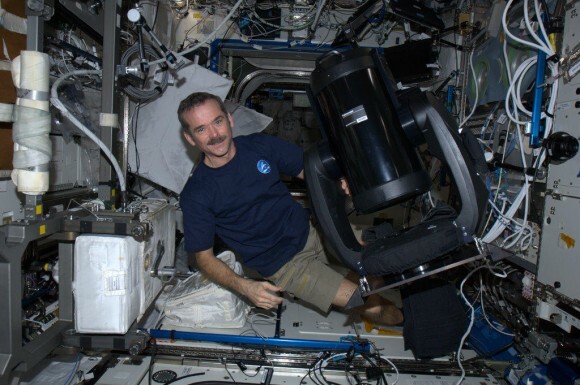 Chris Hadfield is on the International Space Station (pictured above) is getting ready to install a new modified Celestron telescope. The new telescope will be used by countries that don’t have their own Earth observing satellites to monitor natural disasters. Using the telescope they will be able to assess damage and help support people on the ground with evacuations for example. It will also be used for environmental studies and disaster analysis when needed. The system is called ISERV (International Space Station SERVIR Environmental Research and Visualization System) and will be supporting NASA’s SERVIR project.